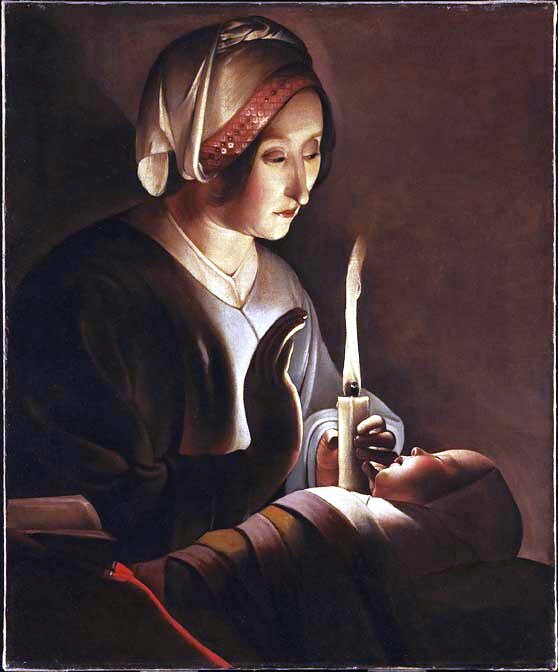 Today, 2 February 2013, we are entering the Marian year’s second season, the first takes us from Advent to Candlemas (la Chandeleur), once an observed feast commemorating the presentation of the child Jesus at the Temple. The second lasts until Good Friday. In other words, as of today the Marian song is the Ave Regina Cælorum. From the beginning of Advent until today, it had been the Alma Redemptoris Mater. Several composers have set the words of the Alma Redemptoris Mater to music and the same is true of the Ave Regina Cælorum. In the Church of England, today, Candlemas, is the end of the Epiphany season which follows the Christmas season. Moreover, today is also Groundhog Day. Punxutawney Phil has not seen his shadow which means that we are nearing spring. (See the Washington Post.) So, humans have always situated their feasts when a change occurs in the weather. We go from season to season and the following year, we also go from season to season and this continues year after year. Remember Jean de France’s Très Riches Heures. (See Les Très Riches Heures du Duc de Berry). It’s a Book of Hours, but it is also a calendar. The Très Riches Heures has a large illuminated (enluminures) page for each month of the year illustrating the Labours of the Months. With Jean de France, there was another motive. In the background of each page, we see one of his castles. Although we are leaving the first Marian season, I am including both the Alma Redemptoris Mater and the Ave Regina Cælorum. Hesiod’s Works and Days is an online publication. We were at Notre-Dame de Paris (NDP), listening to Marian hymns, but Notre-Dame no longer provides the internet with recordings of its liturgical music. However, we have the music it used to provide. To put it in a nutshell, Marian music consists of approximately 32 hymns (general term), the most important of which are the four antiphons listed below. At Notre-Dame de Paris, where we are nevertheless traveling, four other Marian hymns are sung daily, one of which is a canticle (cantique in French) or song of praise: the Magnificat. When Mary heard that her cousin Elizabeth was pregnant, she sang the Magnificat. 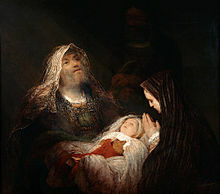 Elizabeth’s child was John the Baptist. The other Marian hymns sung at Notre-Dame are the Hail Mary or Ave Maria, the Angelus and the Ave Maris Stella. The Angelus is explained at NDP, but not performed. Every hymn is translated into English. An antiphon is a call and respond song. It resembles a refrain. That is an over-simplification, but a first step. A canticle is a song of praise such as the Nunc Dimittis. As stated above, altogether, there are approximately 32 Marian hymns, including the four Antiphons. However, to these we must add the works of composers who have written oratorios, cantatas, motets and have also set Marian texts to other musical forms. These may contain music composed for Christmas, the birth of Christ, where Mary is a central character. 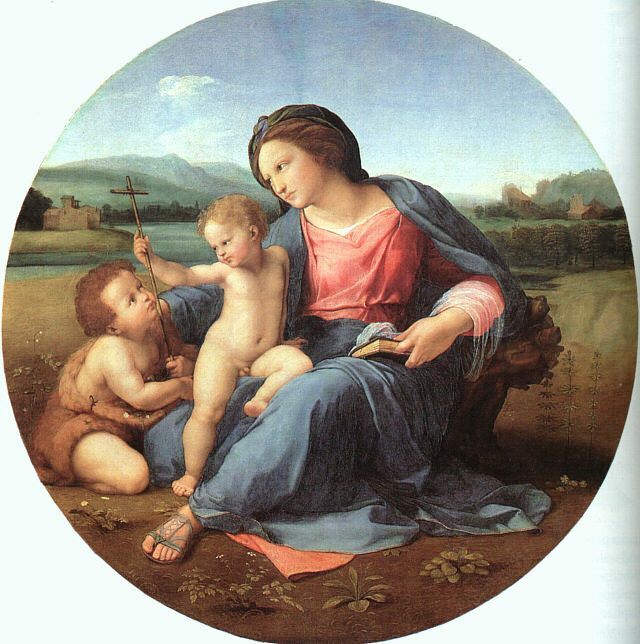 To my knowledge, there is no oratorio honoring the Virgin, except segments of larger works. Examples are J. S. Bach‘s Magnificat (from the Chrismas Oratorio) and parts of Händel’s Messiah. 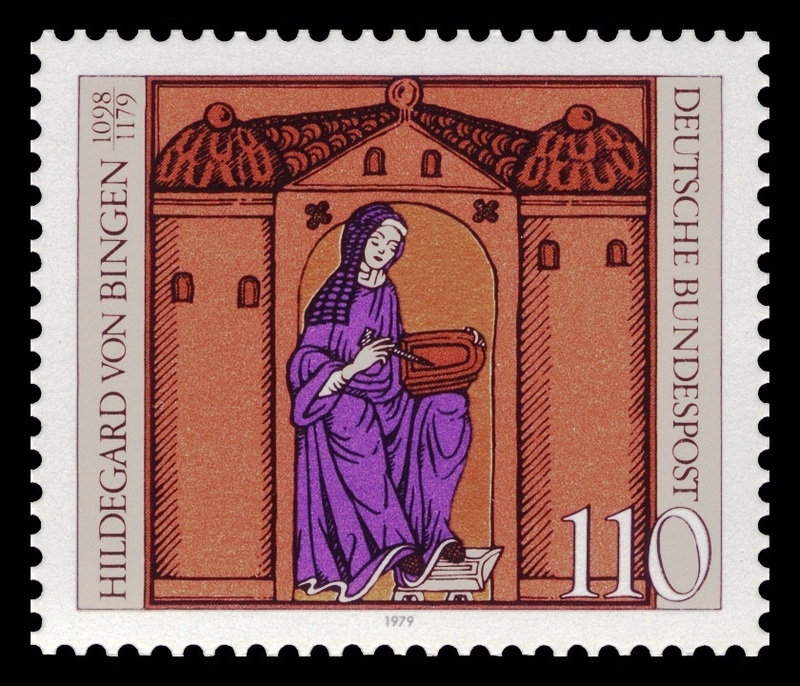 Given the Catholic Church’s devotion to Mary Mother of God, large musical works are likely to incorporate music to the Virgin. Oratorios are among large compositions and could be described as long cantatas. However, they resemble operas. Oratorios require an orchestra and a choir. Moreover, they may contain solos or, at times, multi-voice compositions that are not sung by the choir, but by four soloists. At one point in the history of music, polyphony included more than the four voices we are accustomed to: soprano, alto, tenor, bass or SATB. We are not discussing such works, many of which are madrigals. We will focus instead on famous Oratorios associated with the birth, life and death of Christ and usually performed during the Christmas season or at Easter. Johann Sebastian Bach (31 March 1685 – 28 July 1750) wrote a Christmas Oratorio (Weihnachts-Oratorium, BWV 248), but he also composed Passions (St Matthew, St John) that are oratorios. As well, J. S. Bach composed the Magnificat in D major BWV 243a. It has two versions. In 1723, it was composed for Christmas, in E-flat major, but in 1733 (BWV 243) it was reworked for the feast of the Visitation, in the key in D major. George Frederic Händel‘s (23 February 1685 – 14 April 1759) Messiah (HWV 56), composed in England on an English-language scriptural text compiled by Charles Jennens. The text finds its origins in the King James Version of the Bible and in the Psalms included in the Book of Common Prayer. The Messiah was composed in 1741 and first performed in Dublin, on 13 April 1742. Joseph Haydn‘s (31 March 1732 – 31 May 1809) The Creation (Die Schöpfung), H. 21/2, was composed between 1796 and 1798. Its English libretto (the text) was written anonymously and translated by Gottfried van Swieten (29 October 1733 in Leiden – 29 March 1803 in Vienna). A cantata (from the Latin cantare: to sing) is a shorter and less complex work than the oratorio. It dates back to the early 1600s, which are the years the first operas were composed. Originally, only one person sang the cantata; it was monophonic. In this regard, it resembled early madrigals. But as the madrigal evolved into a multi-voice composition or polyphony, so did cantatas. 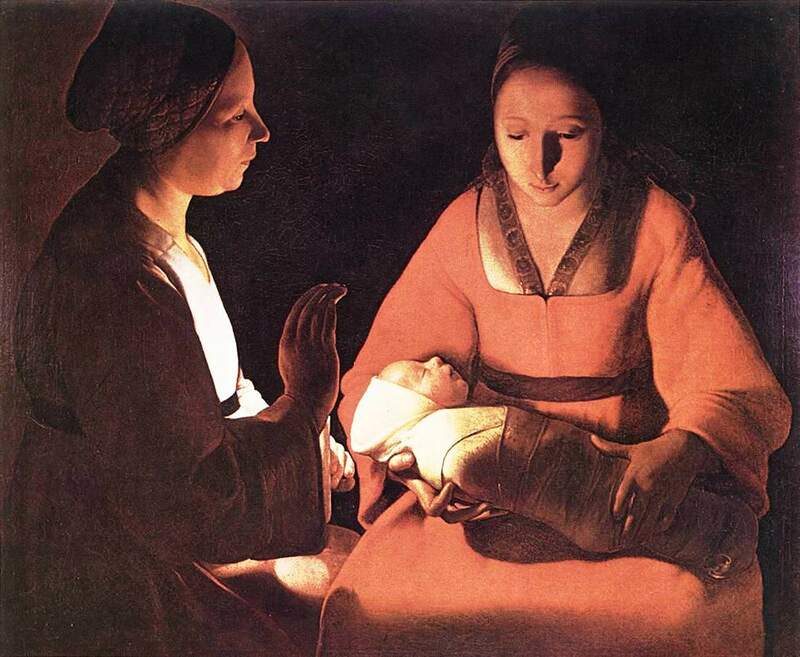 We tend to associate cantatas with J. S. Bach who composed approximately 200, one of which, number 142, is entitled the Christmas Cantata: “Uns ist ein Kind geboren” (Unto us a Child is born) is a lovely cantata. The Stabat Mater is a hymn expressing the sorrow of Mary as her son, Jesus of Nazareth, is being crucified and then taken down from the Crucifix, the descent. According to Wikipedia, the Stabat Mater usually refers to a 13th-century Catholic hymn to Mary, the first Stabat Mater, variously attributed to the Franciscan Jacopone da Todi and to Innocent III. The Stabat Mater is associated with the Magnificat, one of several canticles sung at Vespers. We are therefore moving from antiphons (antiennes) to canticles (cantiques). Moreover, with the Magnificat, we are travelling back to the earliest days of Marian hymnology. The Magnificat is an ancient canticle. at Compline, the “Canticle of Simeon” (Luke 2:29-32), commonly referred to as the “Nunc dimittis” (from the opening words). At Notre-Dame de Paris the Magnificat is sung every day before the four Marian antiphons and after the Ave Maria (Hail Mary) and the Angelus. The Magnificat is Mary’s song of praise upon learning that her cousin Elizabeth, Zachary’s wife, is with child. She will be the mother of St John the Baptist. This event is recorded as The Visitation. As for Mary, she has been visited by the archangel Gabriel and knows she is bearing the Saviour: The Annunciation. In fact, all three New Testament canticles tell the story of the birth of John the Baptist and that of Jesus. Zachary is the father of John the Baptist and at the moment of the Presentation of Jesus to the Temple, Simeon recognizes the Saviour in the baby Jesus. But, combined with the Stabat Mater, the Canticles also tell a story of death and rebirth. The two are juxtaposed as they express the perpetual cycle of birth and death, a cycle akin to that of the Four Seasons, spring eternal, celebrated by composer Antonio Vivaldi (1678 – 1741). Also expressing the link between the Nativity, starting with the Annunciation, and Easter is Handel‘s Messiah, an oratorio. It is performed at Christmas and at Easter, the latter feast being, to my knowledge the more important of the two. I will not discuss the Messiah in this post. Basically, we are dealing with songs, albeit liturgical songs, the exception being JS Bach’s Magnificat, a substantial work. In an earlier blog, I wrote about Giovanni Battista Pergolesi (4 January 1710 – 16 March 1736). Pergolesi composed a beautiful Magnificat and a masterful Stabat Mater, as well as other liturgical pieces. Although he died at the age of 26, he had already written several masterpieces. The above link, his name, takes the reader to my post, but for information on the composer, organist and violinist, I would suggest you click on Giovanni Battista Pergolesi (Wikipedia). It is not insignicant that among his compositions, there should be both a Magnificat, a canticle, and the Stabat Mater. With respect to the Marian hymns, to view the complete list, antiphons, canticles and other hymns, please click on Hymns to Mary. The words Marian hymnology constitute an ‘umbrella’ term encompassing all the music dedicated to the Blessed Virgin. For the text of the Stabat Mater, Latin and English, click on Stabat Mater. To read the English text of the Magnificat, click on Magnificat. You will find below several pieces of Marian sacred music. There is little for me to add, the language of tones being more expressive than national languages. So I will leave you to listen and perhaps to marvel at the place given Mary in the arts and in music. You will hear canticles, psalms, parts of the Mass, etc. Moreover, I have listed, at the bottom of the page, all my posts on the subject of Marian hymnology in sacred music. There are about 32 songs celebrating the Virgin and these contain the four antiphons. All are listed in Wikipedia, so I will provide the required link: Hymns to Mary. It is not possible to enter into a discussion of all Marian hymns. For the purposes of this blog, I have therefore chosen to focus on the four prayers that are included in the daily liturgy of Notre-Dame de Paris. The Notre-Dame website is particularly informative. However, services at Notre-Dame are more numerous than in ordinary Parish churches. Some Christians attend Mass daily, but most do so only on Sunday and on Feast days. At Notre-Dame de Paris, Marian hymnology includes the antiphons, named antiphonies, but daily liturgy also comprises four prayers to Mary: the Hail Mary (Ave Maria), the Angelus, the Magnificat and the Ave Maris Stella. These are canticles (cantiques), not psalms. I have listed them chronologically and all four are recited or chanted before the antiphons or antiennes. I will therefore confine this presentation to the Ave Maria, the Angelus, the Magnificat and the Ave Maris Stella. The Hail Mary or Ave Maria is a prayer composed by Eudes de Sully who was the archbishop of Paris between 1196 and 1208. Eudes composed the Hail Mary by adding a conclusion to the Marian antiphons “sung during the Annunciation and Visitation festivals.”[ii] The text is based on the words spoken to Mary by the archangel Gabriel. 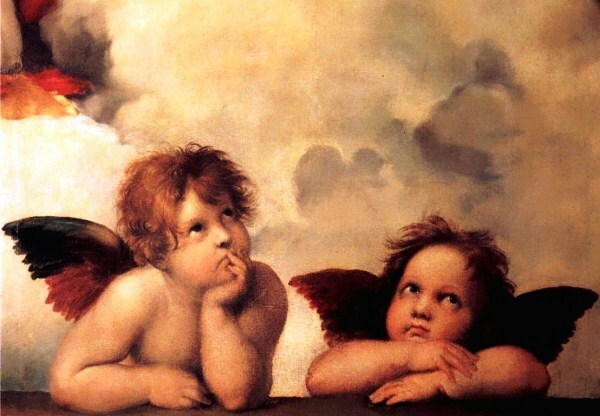 The Angelus is a prayer introduced by Saint Bonaventure, a disciple of Saint Francis of Assisi (born Giovanni Francesco di Bernardone (1181/1182 – 1226) and a professor of theology in Paris from 1248 to 1257. Saint Bonaventure was also a friend of Saint Thomas Aquinas. He included the Angélus in the services of Franciscan monks when he became general minister of the Friars Minor, in 1257. The Angélus was sung in praise of the “Incarnation of the Son of God three times a day.”[iii] At Notre-Dame, the Angélus is recited each morning before the first mass and it is also recited at noon. The Magnificat was sung by Mary to her cousin Elizabeth after Elizabeth told Mary she was bearing a child, Saint John the Baptist, at a rather late age. As for Mary, the archangel Gabriel had announced to her that she would bear and give birth to Jesus, the Son of God. The text of the Magnificat “uses the words of several Old Testament songs.”[iv] It is a Thanksgiving or Action de Grâces hymn sung at Notre-Dame in Vespers services. The Magnificat could be the earliest Marian hymn. It is unlikely that prayers and hymns to Mary I have mentioned constitute a complete répertoire of Marian hymnology. Some undoubtedly belonged to an oral tradition and are lost. In other words, many were not written down, nor were they notated (music). Notation, as we saw in another blog, starts, quite primitively, with Guido of Arezzo, the author of the Micrologus. It would be my opinion that what an examination of Marian hymnology reveals, first and foremost, is the degree to which Christians worship the mother of God. The word “intercession” may well hold the key to this phenomenon. 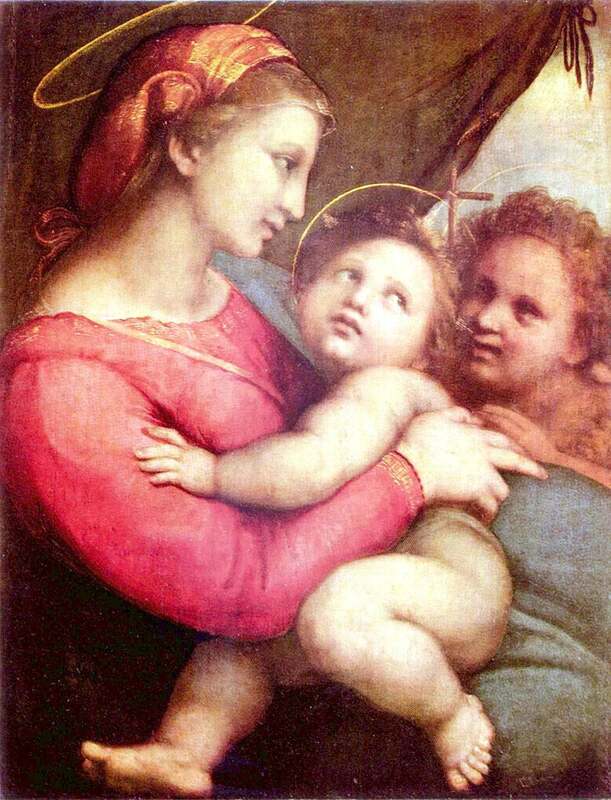 Mary is viewed as kind and motherly. She is therefore considered as more likely to hear one’s prayers and convey them to a sterner God the Father and to Jesus of Nazareth, the son of God. All the great medieval Cathedrals of Europe are dedicated to the Virgin Mary, an eloquent tribute to Mary’s presence in the mind of most Christians. [i] “Mary”. Encyclopædia Britannica. Encyclopædia Britannica Online. [ii] Notre-Dame de Paris <http://www.notredamedeparis.fr/>. I often encounter persons who tell me they love a certain piece of Christian liturgical music, but feel embarrassed because they are atheists, agnostics, Muslims, Buddhists, etc. We should note, therefore, that Sacred Music is not only liturgical, but that it is also, and officially, a musical form. 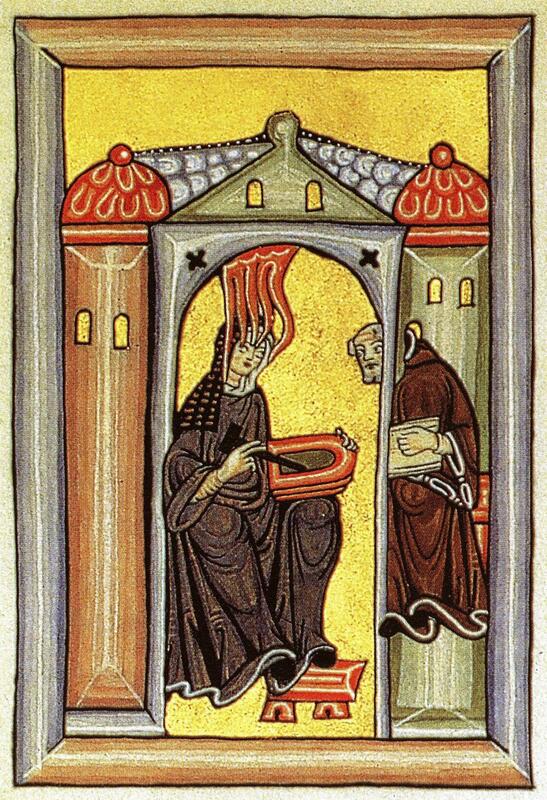 As we have seen in an earlier blog, Benedictine and other monks observe the Canonical Hours, thereby following the directives of Benedict of Nursia, the father of monasticism. But monks also celebrate Mass, the more important service of daily liturgy. The Canonical Hours could be defined as a Vigil. During his agony, at Gethsemane, as he was about to be taken by the Romans and later crucified, Jesus was alone. One of his disciples had betrayed him and now everyone slept. Therefore, monks have long kept Hours. Mass (liturgy)* is the central service of the Church and it commemorates the Last Supper, or the last time Jesus and his disciples broke bread and drank wine together. This explains why Mass is also called the sacrament of the Eucharist. The priest and the faithful take communion in remembrance of the Last Supper. Praticing Christians, Catholics at any rate, do not usually observe the Hours, except Vespers, occasionally. But they attend Mass every Sunday and on feast days, such as Christmas. There are as many masses as there are days in the year, if not more, but all contain the Ordinary of the Mass. The Ordinary of the Mass is not variable and it comprises the Kyrie, Gloria, Credo, Sanctus, Agnus Dei, Ite missa est. The Ite missa est (Mass is finished) is sometimes replaced in Requiem Masses, Masses for the dead or Masses commemorating the dead. Mozart’s Requiem is considered one of the foremost examples of the genre. There is also a Proper of the Mass, which is variable. For example, Christmas Mass differs from Easter Mass. Moreover Masses are said in honour of apostles, martyrs, saints, archangels, etc. So the Proper of the Mass changes accordingly. The Proper contains the Introit, Gradual, Alleluia or Tract, Sequence, Offertory, Communion. These components are added to the Ordinary of the Mass. Also variable are those parts of the liturgy which the priest, the deacon, the subdeacon, or the acolyte sing. These are the Collect, Epistle, Gospel, Secret, Preface, Canon and the Postcommunion. The http://en.wikipedia.org/wiki/Postcommunion was probably introduced by Andreas Ornithoparchus in his Musicæ Activæ Micrologus, Leipzig, 1517. Parts sung by the entire choir (mass ordinary, hymns, psalms, alleluia) form the concentus. Mass is incorporated in the Liber usualis, but masses are usually the main content of the Missal. Although the moveable parts of the Mass can be used to honour an apostle, a martyr, a saint, or serve some other purpose, the liturgical calendar also corresponds to the seasons or, more precisely, the solstices and the equinoxes, as we have seen in earlier blogs. But let us repeat that, traditionally, Christmas has been celebrated near the longest night of the year. In 2011, the winter solstice was on December 22nd. As for Easter, the most important celebration of the liturgical year, traditionally, it has been celebrated near the vernal equinox, when night and day are the same length. The summer solstice, the longest day, is St. John’s Day, celebrated on the 24th of June. As for the autumn equinox, it used be called Michaelmas, but Michaelmas has disappeared. However, on September 29th, Christians still celebrate the feast of Michael the Archangel. In order words, nature has been the mold in which feasts were, metaphorically speaking, poured. This eased the transition between “paganism” and Christianity. Roman Saturnaliæ and the Greek kômos (comedy) were replaced by Christmas. To sum up, although Sacred Music is liturgical, it is also a musical form. As a musical form it contains the daily liturgy, i. e. the Mass and the Canonical Hours, but it also includes oratorios (Handel’s Messiah), motets, cantatas, canticles, for the Virgin Mary especially, such as the Magnificat and the Ave Maria, and other forms or genres. Sacred music has in fact proven an enduring musical form. John Rutter composed the music that was sung at the wedding of Prince William and Kate Middleton and is also the composer of a Requiem, as is Andrew Lloyd Webber, or Baron Lloyd-Webber. Moreover, the story of sacred music is also the story of polyphony “music in which voices sing together in independent parts”[i] in which it resembles the story of the Madrigal, to which composers kept adding voices. This blog is now rather long, so I will end it. But I will include several musical examples from which you can choose. The Lacrimosa and the Piu Jesu are part of a Requiem Mass. Here is a description of a Nunc dimittis (a song of praise). [i] J. P. Burkholder, D. J. Grout and Claude V. Palisca, A History of Western Music, 7th edition (New York and London: W. W. Norton & Company), p. 87.